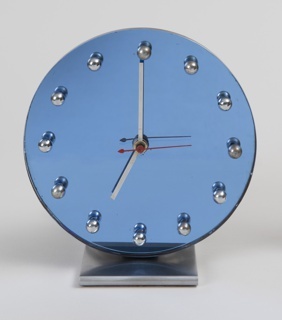 See more objects with the tag tubular, metalwork, clock, asymmetrical. This is a Clock. It is dated 1934. Its medium is bent chrome-plated tubular brass, enameled brass, plate glass. It is a part of the Product Design and Decorative Arts department. 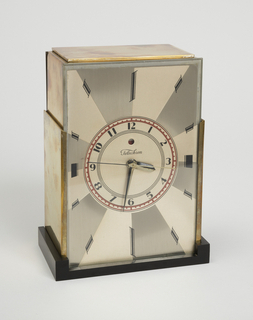 Rohde began designing clocks for Herman Miller after creating a distinctive line of clocks for the company in 1933 for the Chicago World Fair. This "Z Clock" (No. 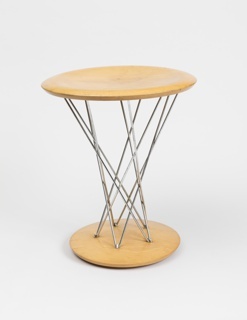 4090) was pictured in the company’s 1934 catalogue, “20th Century Modern Furniture, Designed by Gilbert Rohde,” which was one of the first American trade catalogues devoted to modernist design. Rohde used the No. 4090 as a complement to his modernist interiors in the catalogue. 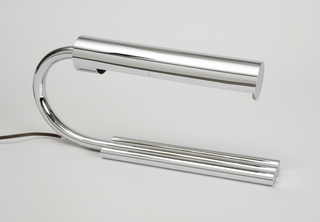 The zigzag tubular chrome-plated support of the clock echoes his tubular chair designs for the Troy Sunshade Company, which were also produced during the early- to mid-1930s. 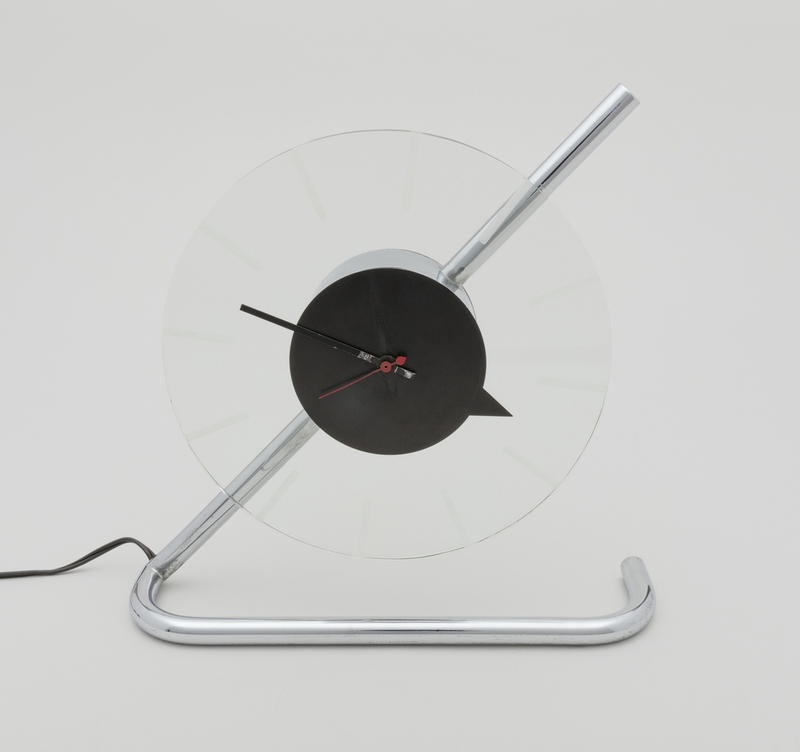 The minimalist form of this clock concentrates the eye on tubular steel, one of the great advancements and material markers of modernism. 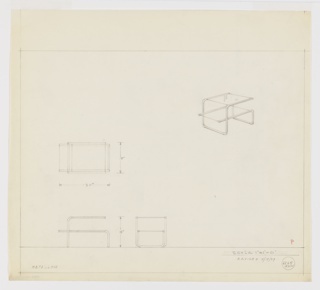 The outline of the clock shows reductive rigor and also energy in its angularity that celebrates the cantilever, frame, and suspension principles that tubular steel made possible. 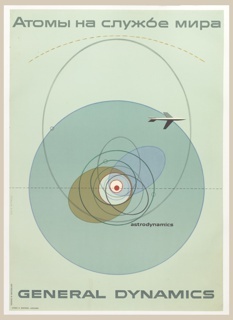 Phyllis Ross, Gilbert Rohde: Modern Design for Modern Living (New Haven, CT: Yale University Press, 2009), 122.